BBA (Bachelor of Business Administration) is one of the managerial three-year course bachelor degree after 12th. It includes complete knowledge of leadership and management. It will provide a student with conceptual, theoretical and practical knowledge in various aspects of business like finance, economics, operations, marketing, basic accounting etc. The students in this field get the practical exposure in their trainings. To do well in this field, students must possess leadership qualities, decision making skills, good oral and written communication skills. The MBA degree has been started to provide the ground knowledge for producing the sound management professionals. The degree in Business administration is one of the most jobs provider educational degree course. In India and abroad, there are various multinational industries, which are offering jobs to various business graduates as well as post-graduates. Check the list of all BBA colleges/institutes in Noida listed on Eduly. Get all information related to admissions, fees, courses, placements, reviews & more on BBA colleges in Noida to help you decide which college you should choose for taking admissions in BBA in Noida. IMS Noida is a premier management institute known for its academic excellence and value-based education. It was established in 1998. It provides management education to both fresh graduates seeking management education and also to those who are already employed and want to enhance their managerial skills. IMS also has collaborations with several Universities overseas. There is also a strong focus on research and IMS encourages its faculty and students to undertake consultancy projects with corporate. Candidates seeking admission to the BBA degree must have passed 10+2 (or its equivalent) examination from a recognized Board/ University. Candidates appearing for the qualifying examination or those who are awaiting their results are also eligible to apply. Candidates interested in BBA Specialization program are requested to register their names for Joint Entrance Test (J.E.T) to be conducted by IMS NOIDA in their premises. The test is based on general awareness, basic mathematics, reasoning questionnaire, and communication skills. Each student is required to register himself/ herself by filling up an JET (Joint Entrance Test) application form which can be collected from the Institute by paying Rs.800/- on any working day or you can download the same from www.imsnoida.com and send it to admission department along with the Demand Draft of Rs.850/- in favor of “Institute of Management Studies” payable at Delhi/Noida and send us at our official address. The total fees for Bachelor of Business Administration (BBA) in IMS Noida is INR 2.85 lakh. On an average, almost all the students get a job for those who want to. There are a variety of companies that influence the job marketing structure of IMS that include companies like Wipro, Amazon, TCS and many more. Amity University, Noida is a private research university located in Uttar Pradesh, India. It was established in 2005 by an Act of the State Legislature of Uttar Pradesh. The university is a part of Amity Education Group and has campuses in India, Dubai, Singapore, China, Mauritius, London and New York. It’s founder is Ashok Chauhan and Vice-chancellor is Balvinder Shukla. It was India’s first private university to implement reservations based on caste etc. for both faculty as well as students. For a 3 year course it takes about 1.5lacs per semester on an average + accommodation if you are not a local person. Program Fee: 1st Year Non Sponsored Semester Fee Rs.2.20 in Lakhs. Amity provides 100% placement to its students. There is a long list of companies that hire skillful students for a good package. Companies visiting the campus include Amazon, Reliance industries, KPMG, Deloitte, Tech Mahindra and many more. The average package is around 8 LPA. Hierank Business School is situated in Noida in Uttar Pradesh state of India. It was established in 2006, it is accredited from AICTE, UGC, and Ministry of HRD and is affiliated to Uttar Pradesh Technical University. Hierank, Noida offers 9 courses across 4 streams namely IT, Education, Management, Paramedical and across 5 degrees like MBA, BBA, B.Ed., BCA, PGD. HIERANK campus is spread over 2 Acres. Hostel facility is not available for its students. Additional campus facilities such as Boys Hostel, Computer Lab, Girls Hostel, Library, Medical Facilities, Classrooms, Sports, Trans., Wi-Fi, Cafeteria are also there. Selection through GD and Personal Interview at the Campus. The fee structure for the course Bachelor in Business Administration (BBA) which is of duration three years is 2.3lakh. Placement record is above 75% placed every year. Companies like HCL, TCS, Paytm, Samsung and Flipkart are the major recruiters. Training and placement cell are run by alumni of IIM, IIT. They provide good package to students in reputed company. Average package is 6 LPA annually. Amity Institute of Competitive Intelligence and Strategic Management (AICISM) is a management institute based in the city of Noida in Uttar Pradesh. AICISM provides wide variety of courses for graduation, post-graduation as well as the P.H.D. courses. With the concept of increasing globalization and high end competition amongst various industries, this institute bring out professionals and entrepreneurs with special intelligence and competitive fields. This gives rise to the fields of specialization like competitive intelligence and strategic management. On the basis of percentage in the qualifying exam, English Essay exam & Personal Interview (PI). Candidates must passed in 12th or equivalent exam from a recognized Board with minimum 60% marks. The total fees for Bachelor of Business Administration (BBA) in AICISM Noida is INR 9.36 lakhs. They facilitate 100 % placements by grooming our students to be the employee of choice and to play a pivotal role in the company they join. Placement preparation starts from the 1st semester by focusing on developing the required knowledge, skills and attitude. This is done through a combination of class room work, supervised and independent projects, role plays, seminars, workshops, inter institute competitions and out of classroom activities. Their 360 degree mentoring system plays an effective role in this. Phone No. : 0120-439 2118 / 439 2156 / 439 2119. National Academy of Event Management & Development is an incredibly specialized Event Management Educator that has been offering its services to the Industry for more than a decade now. The objective of NAEMD was sharing the knowledge and experience in the field of Event Management & Public Relations. It is absolutely beyond doubt that domestically as well as globally Event Management has become an integral part of today’s age . Be it Cultural, Social, Political, Personal or Organizational Event, there is a strong urge to do it in the most effective and efficient Fashion. Doing things in a break-through manner with all new concepts and ideas is the new trend. As a result, the need for Superior Professionals and Managers who not only possess a high technical expertise, but also have a comprehensive formal strategic understanding of management tools and techniques. Some of the programs conducted by college to assist students are such as personality development, on job training, career planning, industry interface and development of entrepreneurship. Candidate must be passed 10+2 from recognized board or equivalent. The total fees for Bachelor of Business Administration (BBA) in NAEMD Noida is INR 6.48 lakhs. The college provides 100% placement. There are many recruiters which provides placement for students like Adobe Systems, FICCI, Rachnoutsav Events Pvt. Ltd,times of India,Wizcraft360 Degree and many more. Delhi Metropolitan Education is a premier educational institute affiliated to Guru Gobind Singh Indraprastha University, New Delhi and approved by Bar Council of India. At DME, they provide strong academic facilities to provide a dynamic grounding for success. This has been involved in education over the last 13 years. They are running the esteemed Mayoor School, Noida in collaboration with Mayo College, Ajmer. The school campus is spread over ten acres and the school has over 3000 students enrolled currently. Passed HSC of CBSE/ Equivalent with English as one of the subjects and minimum 50% aggregate marks. Common Entrance Test (CET) by GGSIPU followed by counseling. The total fees for Bachelor of Business Administration (BBA) in DME is 2.07 lakhs. The placement provided by the college is great. The college provides training for the students for the placement. Hence it also conducts a Placement Drive Week for the same in which many great companies are called in order to provide better options for students. Birla Institute of Technology (BIT) Noida is one of the ten extension centers of BIT. The extension center in Noida was established in the year 1998 in order to make the education and research capabilities of the Institute accessible to a large number of youngsters pursuing careers in the related field. The Institute offers various UG, PG and Ph.D. level courses. Admission to certain courses will be done on the basis of Entrance Exams – GATE (M.Tech. ), CAT/MAT/XAT/CMAT (MBA) and BIT Entrance Test. Passed HSC or equivalent examination with minimum 50% marks with English as a subject. On the basis of candidate’s performance in HSC. The total fees for Bachelor of Business Administration (BBA) in BIT Noida is 4.11 lakhs. The placement opportunities in BIT is good. Many companies visit to the college for placement. The package offered was also quite decent. The most promising opportunity was offered by Wipro Technologies in which they offered us to learn while we earn. They provided us an opportunity where we were offered MS degree from BITS Pilani and a fixed stipend over a period of 4 years till the date the course got completed. Ducat Institute of Professional Studies, Noida has been incepted with the vision to provide the students with professional courses, which would change their life and make them more productive. There are excellent faculty who has experience, enthusiasm and the perfect view which guides and educates the students. Emphasis is also laid on technological advancement and value based education. A student should pass 10+2 with any recognized university or equivalent. The total fees for Bachelor of Business Administration (BBA) in DUCAT is 31,000. Placement of ducat is very good. It provides very useful and effective training to the students so that they perform gracefully in the companies. Symbiosis International University (SIU) is situated in Noida, Uttar Pradesh. It is a private deemed university which comes under the flagship of Symbiosis Society which is a non-profitable organization. The University comprises of 27 constituent units, imparting training under 7 faculties. Symbiosis is known to be a Multicultural, Multi lingual and Multinational institution. An institution where academic democracy prevails, where law is the religion and freedom of thought and expression is the spirit, where equality is not preached but practiced, where Innovation, Passion and Compassion is nurtured. 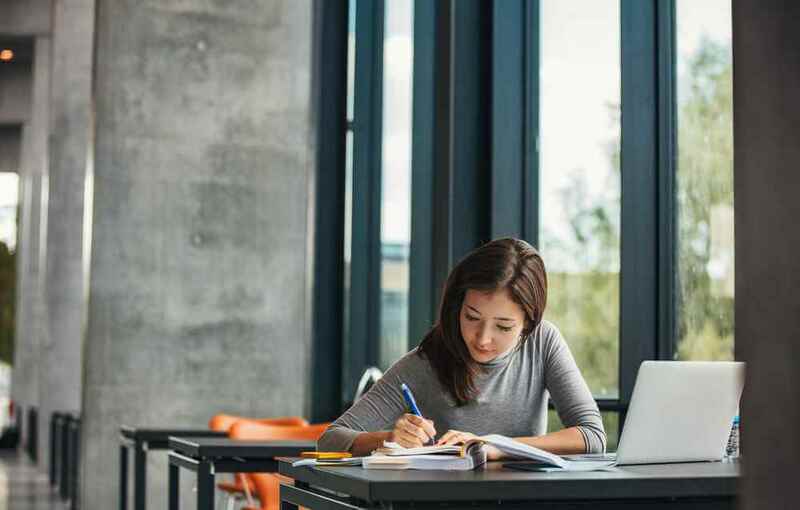 Candidates seeking admission to BBA program must have passed 10+2 or equivalent from a recognized board with an aggregate of at least 50% marks from a recognized board. Admission will be granted based on performance in Symbiosis Entrance Test (SET) followed by PI WAT (Personal Interview- Writing Ability Test). The Placement of the college is really good and the top recruiters are Shardul Amarchand, Astreal legal, Madaan and Madaan’s co. and many more. RICS School of Built Environment (RICS SBE), Amity University is an academic institution which delivers specialized undergraduate and postgraduate programs to students aspiring to work in real estate, construction and infrastructure sector. It also serves as a hub for research and development of technical expertise in built environment. It was established in 2013, RICS SBE is supported by leading real estate, construction & infrastructure firms as well as the Ministry of Urban Development, Government of India. It is a Department of Amity University’s Noida and Mumbai campuses and has enrolled 2500+ students till date. Student should have passed 10+2 grade with minimum 60% for Non-sponsored category & 55% for sponsored category. 90% of the every batch placed every year. All the real estate developers and IPCs came to the campus. And the offer ranged from 10 – 25K per month for the internship and about the placement, offer ranges from 5 – 18 lakhs per annum. Asian School of Business was set up with a vision to promote excellence in the field of education and to meet the ever-increasing demand of quality professionals in the growing business world. At present, ASB offers BBA & BCA courses in affiliation with the CCS University. ASB facilitates courses to provide students with an industry-relevant degree. Students get practical experience, attend seminars and prepare internship reports. They are encouraged to attend leadership training workshops and conferences for but not limited to public speaking, group dynamics, problem solving and evaluating techniques. With its comprehensive courses, Asian School of Business aims not only to enlighten the learning experience of students but also enrich and inspire them. 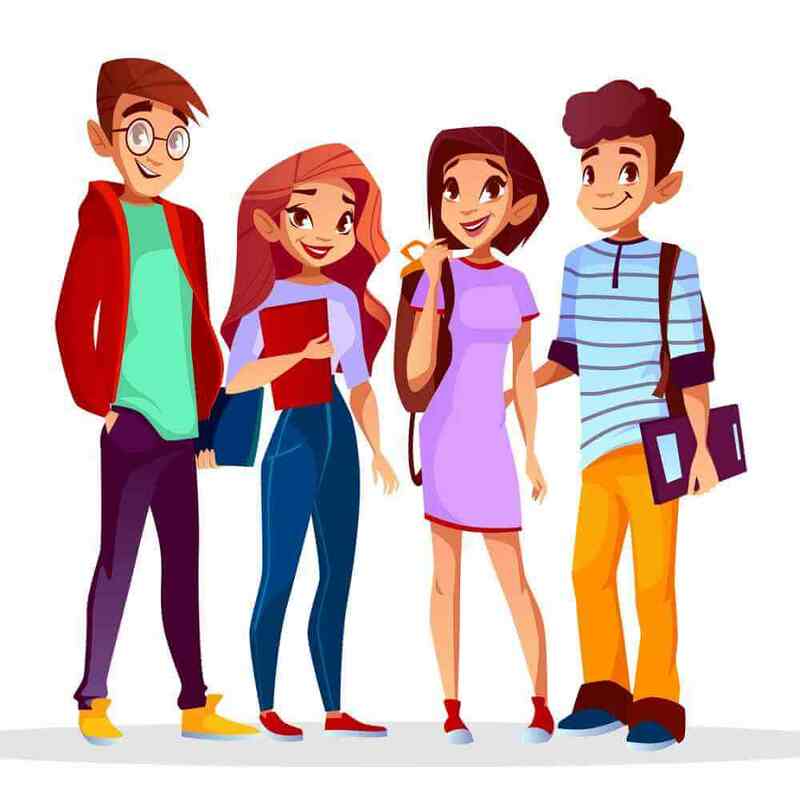 It aims to develop knowledge, skills, value, ethics and expertise among students through its unique curriculum and modern strategies, thereby, bringing a reform in education. Candidates seeking admission to the BBA program must have passed 10+2 (or its equivalent) examination from a recognized Board/ University. Their candidature, however, shall be considered, subject to their clearing the qualifying examination. The total fee for Bachelor of Business Administration (BBA) is 1.25Lacs. ASB offers 100% placement assistance. A Student Placement Committee under the guidance of the ASB faculty is responsible for the placement, a process that optimizes the interests of both the students and the concerned organizations. The student committee ensures that the process, starting with pre-placement interactions with the various organizations right up to post-placement activities is carried out in the smoothest possible manner. Sadhna Academy for Media Studies is situated in Noida in Uttar Pradesh state of India. Established in 1961, it is accredited from UGC, AICTE and it is affiliated to Guru Jambheshwar University of Science & Technology, Hissar. SAMS, Noida offers 13 courses across 4 streams namely Management, Media & Mass Communication, Vocational, Design and across 7 degrees like BSc, BA, PGD, MSc, MA. Hostel facility is not available for its students. Additional campus facilities such as Math Lab, A/C, AV Lab, Auditorium, ATM, Boys Hostel, Canteen, Computer Lab and Library are also there. Candidate must have passed 10+2, basic knowledge of computer, Languages known English & Hindi. The total fees for Bachelor of Business Administration (BBA) is 92,600. HCL, Honda, Amul, Pepsi, the Oberoi, Grans Hyatt and Airtel. Bennett University is a private interdisciplinary research university located in Greater Noida, Uttar Pradesh in the National Capital Region (NCR), India. It was funded in 2016 by Times of India Group and established under Uttar Pradesh Act. The university has a fully residential 68-acre campus, near the proposed metro station on Noida-Greater Noida Metro Railway line. The aim is to nurture the aspirations and possibilities of long-term professionals having leadership qualities and will fulfill the needs of industries. Merit basis score in the last qualifying examination followed by an interview. The total fees for Bachelor of Business Administration (BBA) is Rs.11,85,000. BBA Students get selected with top organizations for internships and placements. Some of it’s top recruiters are Microsoft, Amper AXP, Hindustan Coca Cola Beverages, Source Fuse Technologies, Yamaha Motors, JM Financial, Piramal Group, Tata Power, Huawei, NIIT Foundation, Tommy Hilfiger, Bajaj Capital Virgin Atlantic, Discovery, CSIR, C&S Electric, Outlook, Gumption lab. Sharda University is a private university in Greater Noida and Delhi NCR, India, It was established through an act of State Legislature of Uttar Pradesh (14 of 2009). The university offers courses at the undergraduate and postgraduate levels. It is registered under Section 2(f) of UGC Act 1956 by University Grants Commission. Sharda University (SU) is a leading educational institution based out of Greater Noida, Delhi NCR. The University has a multi-discipline campus in the NCR, spread over 63 acres. Sharda University offers 180+ courses at undergraduate, postgraduate and doctorate levels. Sharda University offers various Diploma, Undergraduate, Postgraduate and Research level programs in the multiple fields of study. For admissions to the Diploma/ Undergraduate and Integrated programs offered by Sharda University, candidates must have passed 10+2 (Relevant Stream) or equivalent with minimum 45% – 60% marks in aggregate, depending upon the course. Sharda University Placements are offered to all the candidates through its dedicated Placement Portal which has been specially designed to meet up the requirements of the recruiters and the students. harda University offers a range of Seminars, Guest Lectures, Conferences, Corporate Meets, Personality Development & Communication Skill Programs and Counselling Sessions to make the candidate’s placement ready. The fee is 1.53 Lakhs per year and total fee is 4.59 Lakhs. IIMT Group of Colleges is situated in Greater Noida in Uttar Pradesh state of India. It is established in 1994, and it is affiliated to Uttar Pradesh Technical University. IIMT, Greater Noida offers 21 courses across 8 streams namely Engineering, Management, IT, Pharmacy, Media & Mass Communication, Education, Law, Commerce & Banking and across 13 degrees like BBA, B.Tech, B.Com, LLB, B.Ed, BJMC.Hostel facility is not available for its students. Additional campus facilities such as ATM, Computer Lab, Convo. Hall, Gym, Library, Medical Facilities, Classroom, Sports, Trans., Seminar Hall are also there. Candidate should have passed class XII pass from a recognized board with at least 45% marks. The fee is 45,000 per year and total fee is 1.35 Lakhs. At IIMT College of Engineering, the students are given a lot of practical inputs on language improvement, personality and soft-skills development. The college has an overall good placement record. Top recruiters at the institute are Accenture Advent In Fosoft, Dynamatic Technologies Ltd, Airtel, Almerich Tech, Acienture Accel Frontline, American Express Bank, Asian Paints, Bajaj Allianz, Barco Electronics, Bharti AXA Life Insurance etc. Galgotias University (GU), Greater Noida was established in 2011. The institution was established by the Smt. Shankutla Educational & Welfare Society. GU aspires to be globally known for innovation at the intersection of disciplines. The fee of BBA is 1.15 Lacs per year and the total fee is 3.45 Lacs. Placements are very good and positive. Approximately 250 company come to our university every year to recruit students. The bulk recruiter is Infosys, Wipro, cognizant, earmarks, Accenture etc. Matrix Institute Of Business Management (MIBM) has been spreading its knowledge and education from about 20 years. It is situated in Noida, Uttar Pradesh. MIBM was established by Shree Satya Sai Education Trust recognized from Govt. of India. MIBM Global Noida offers various Undergraduate, Postgraduate and Diploma courses. It believes in providing knowledge and flexibility which is required in today’s business world. They also offers various MBA courses and Fast Track Programmes so that students and professionals can shape their career as per global trends. Candidate must have completed its 10+2 from any recognized board in any discipline. MIBM conduct a range of seminars, corporate meets and also works on communication skills and personality development to make the candidates ready for the placement. The College has a good placement record. Top recruiters at the institute are Cognizant, Indian Oil Corporation Ltd, Infosys, Maruti Suzuki, Voltas, Wipro, ITC, HDFC Bank etc. In my opinion IMS is the best College to purse BBA as it provides value based education for management and provides better placement and career opportunities. It also has an average fee structure for BBA program. Q 1.What is the average fees of BBA course? Answer: The average fees for three years range between 1 Lakh INR to 2.5 Lakhs INR. Q2. What are the subjects of BBA Course? Q3. Is math compulsory for BBA Course? Q4. What is average salary after passing BBA Course? Answer: The average salary ranges from RS. 3.5 lakh to 4 Lakh per Annum. BBA course offers an opportunity to professional learning. It introduces students to business operations and management, finance, accounting, computer learning, marketing, leadership skills, critical thinking, decision making etc. The candidate acquires this knowledge in their undergraduate program itself. The 3 years program helps the students to learn business and managerial skills. They also train in practical knowledge which helps them to hone their skills. It creates a strong background for the MBA aspirants.